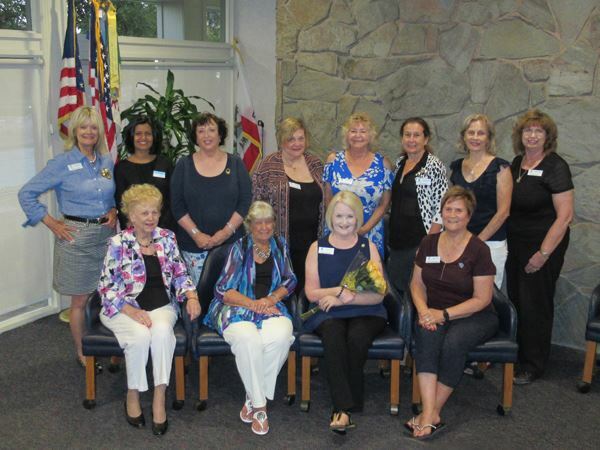 Soroptimist International of Saddleback Valley was established in 1973 and consists of business and professional women, dedicated to improving the lives of women and girls locally and throughout the world. Each year SISV presents three monetary awards in our local community plus two grants to Soroptimist International. Live Your Dream Award for a "head-of-houehold" woman to continue her education, improving her life and that of her family. Three women are chosen for this award. Soroptimist Disaster Relief Fund provides funds for programs that assist women and girls after a man-made or natural disaster. Soroptimist "Club Giving" provides funds to Soroptimist clubs throughout our Federation to support Soroptimist programs, Club Grants and the Soroptimist "Stop Trafficking" program. SMART GIRLS PROGRAM - At local elementary school in coordination with the Lake Forest Boys and Girls Club. LAURA'S HOUSE - Donation collection to support Laura's House in their mission of awareness of domestic violence. YWCA - Free mammograms for women under 40 who are uninsured or underinsured. Breast Cancer Solutions - Supports local women undergoing treatment for breast cancer. Sparks of Love - Is a toy drive sponsored by the local Fire Department. Working Wardrobes - Helps provide clothing for women re-entering the work force. Relay for Life - Raise money for American Cancer Society. Security Blankets - Crafting hand-made blankets for children in crisis. Lake Forest Chamber of Commerce and City of Lake Forest - Donating our time in support of their projects. For meeting information please call Sue Burke 949/378-6024.